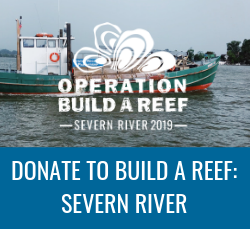 Restoring the Chesapeake Bay’s oyster population is essential to improving the health of the Bay, revitalizing the regional seafood industry and stimulating the local economies of our State’s waterfront communities. 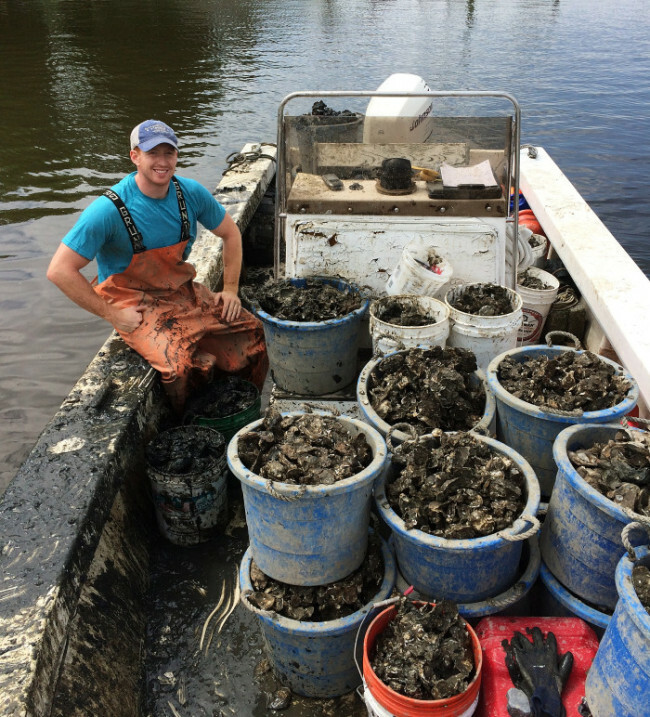 The Oyster Recovery Partnership’s dedicated team of 25 full time and seasonal employees work daily to make a difference. STAFF FEATURE: Tommy Price, Operations Manager for the Shell Recycling Alliance (SRA) and Marylanders Grow Oysters (MGO) programs. What is your role at ORP? Making sure our SRA fleet is functional and our clients are satisfied, all while continuing to expand our collection range. Every day is different, but if I’m not out collecting shell, I’ll be scheduling shell pickups or spat deliveries, keeping our fleet serviced, or searching for new sources of shell. That’s a tough one! The last words I would use to describe shell recycling are “lightweight, clean, or pleasant-smelling”. In reality, the work can be strenuous and repetitive, yet still very fulfilling. What are your biggest shell recycling challenges? Time constraints/scheduling, sanitation issues, weight restrictions and pedestrians. What is your favorite thing about working for ORP? That we produce a tangible good, which is so beneficial to the health of our ecosystem. The oyster is such a noble creature considering it spends its entire post larval life anchored in one place, doing little more than filtering the water and procreating. It’s a humble animal, yet still very social in its own way. What was your proudest moment at ORP? The first planting I saw really put the whole program in perspective. I was very proud to be even a small part of it. As for shell recycling, we’ll hit a milestone of 100,000 bushels in a few months which will definitely be the highlight of my last half decade with ORP. What is a goal you are working towards? Reaching 100,000 bushels of recycled shell this October! (We’re 96% there!) Also, spreading the message that recycling oyster and clam shells should be as important and mainstream as metal, plastic, and glass. The Chesapeake region has been my home all my life, so I enjoy activities that revolve around it! I’m an avid outdoorsman who loves flatwater and surf ski kayaking, fishing, fitness, and just tinkering with boats. Also (in a bizarre twist), in addition to saving oysters, I enjoy shucking them! For more information on ORP’s shell recycling program, visit: www.shellrecycling.org.